The computer is short 4 positions. The major support lies at 15795 on a weekly closing basis. Only if that gives way will we break through the bottom of this channel. Gold remain vulnerable since 2012 was 13 years up on a closing basis. 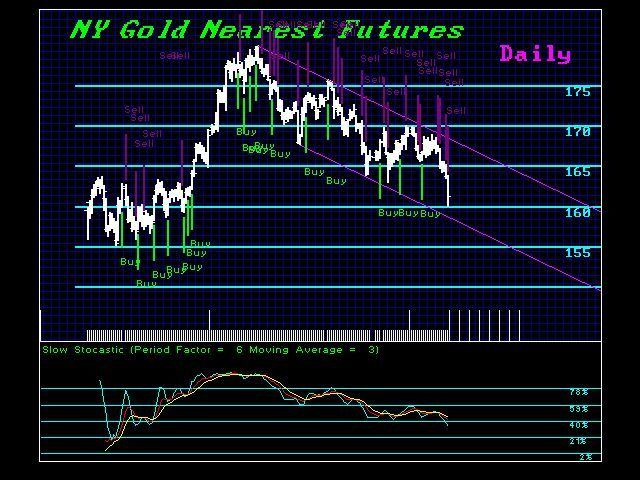 Given the pervasive amount of bullishness convinced that the dollar will collapse simply because the Fed has increased the money supply ignoring everything outside the USA, in order for gold to resume a major bull market we must reduce the degree of bullishness and that will set the stage for the final rally after 2015.75.